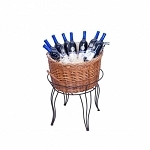 This delightful Wicker Countertop Display is small but powerful when it comes to attracting more sales. 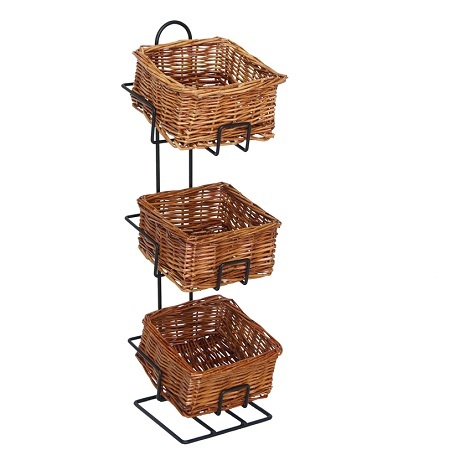 The overall height of this counter display is approximately 20 inches tall with each of the lovely willow baskets measuring just under five inches in size. 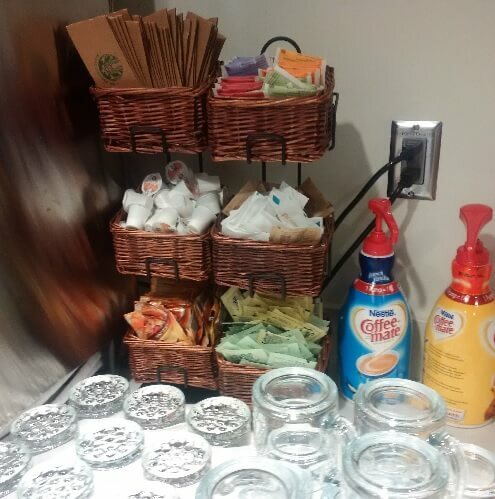 Taking up only a small amount of counter space, you can provide lots of last minute items next to the registers or organize creamers and condiments at your coffee bar and cafe. Lip balms, small sewing kits, band-aids and bandages, bulk wrapped candy and a large number of other items can be beautifully exhibited with this Wicker Basket Rack. 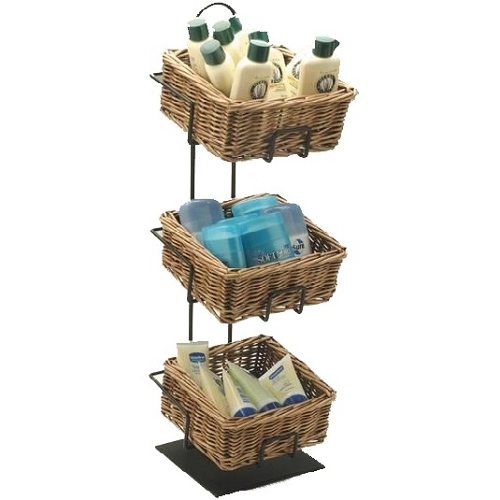 Purchase your sturdy and dependable basket display today that's made up of wicker and steel tube framing. Buy today and save!